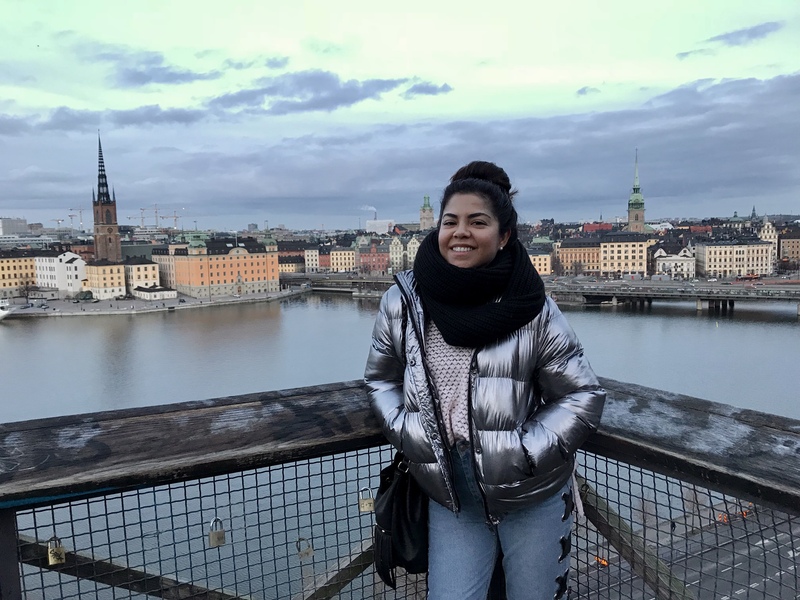 This past winter I was ready to get out of the humidity in South Florida, put on multiple layers of clothing and head somewhere cold…somewhere really cold. I wanted to visit a real winter wonderland! 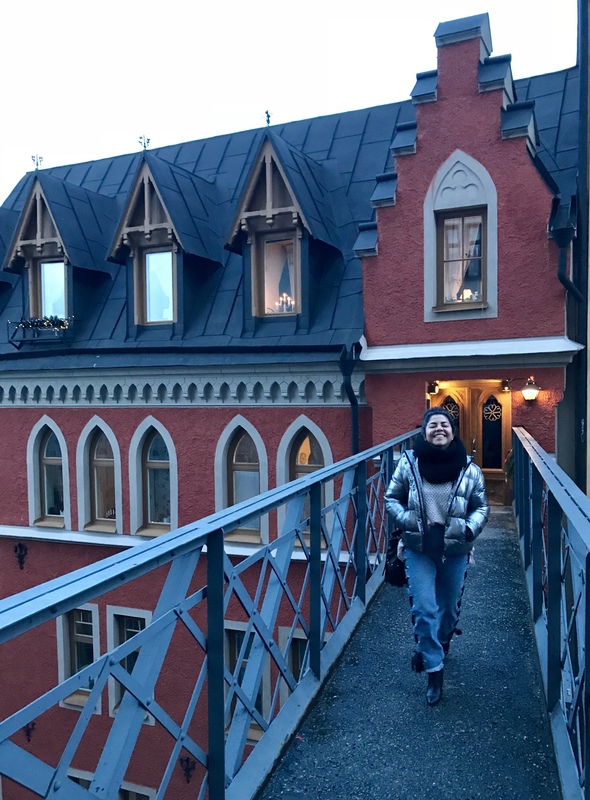 As you’ve seen in previous posts, I spent part of my vacation in Prague, but before I got there on New Year’s Eve, my first stop was Sweden, where I spent a few days in Stockholm. Keep on reading for a brief guide on what to do, where to eat and where to stay. 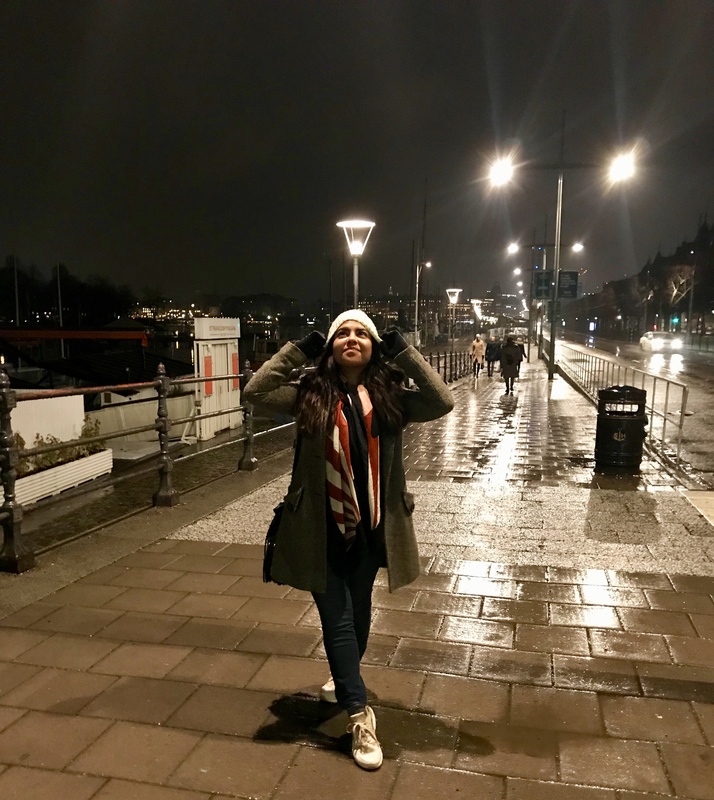 Spoiler alert: Stockholm in the winter is dark! Every time I told someone I was going to Stockholm, I was asked if I had the Vassa Museum on my list of things to do. 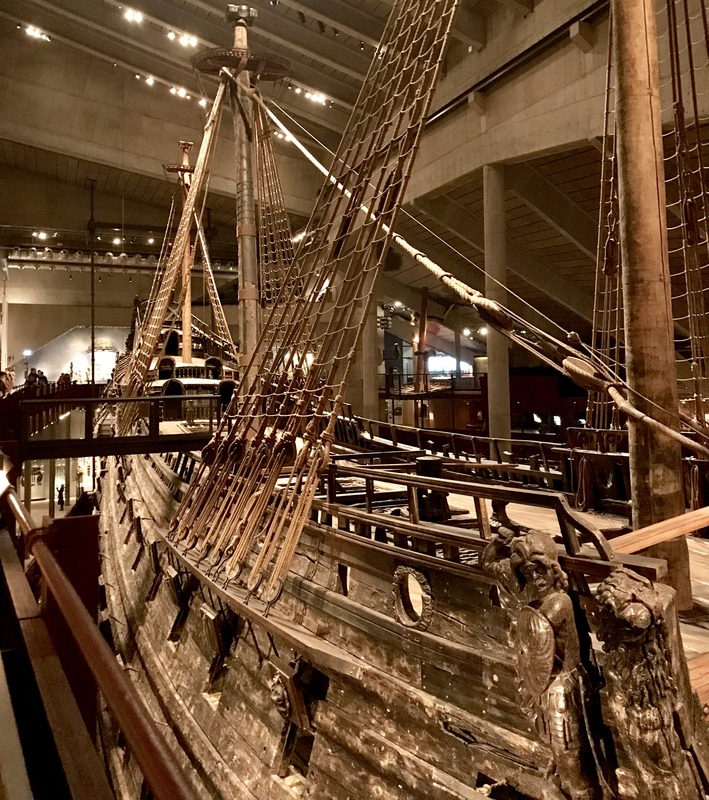 When I looked it up and saw it was a big,.. ahem…HUGE ship from the 15th century that had been preserved I thought, what’s the big deal? But then I got there and WOW! The story about the ship is actually quite funny and the museum does a great job of telling it. I’m not going to spoil it for you, in case you decide to go, but if you must know, read about it here. The venue also includes details of how the ship was built, who contributed to the massive project and how women played a very important role. Whether you visit Stockholm in the summer or winter, you must take a boat tour throughout the archipelago. Not only are the views wonderful, you’ll also get a history lesson about the city. If you go during winter, make sure to bundle up because it will be cold! However, blankets are provided and they also serve hot soup and a traditional Swedish hot punch. Try if you dare! 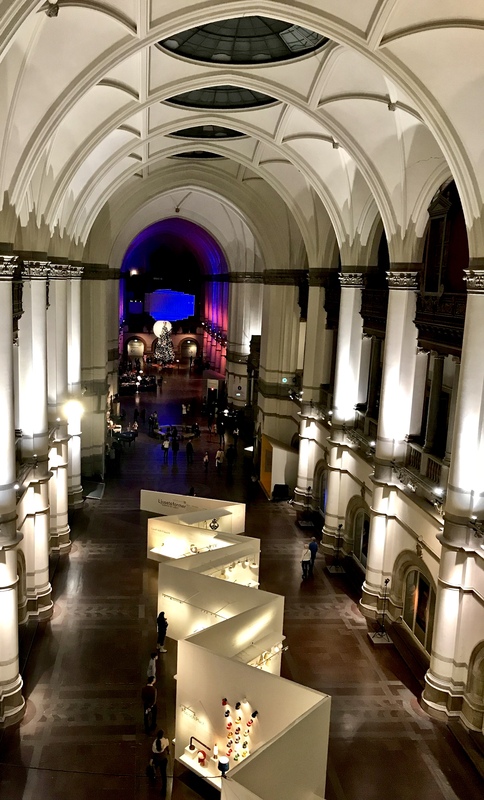 There are many things to do in Stockholm, including visiting other museums like the Fotografiska, Abba Museum or the Nordic History museum (super cool! ), or enjoying the nightlife at Berns nightclub. You must also experience Fika or coffee time. 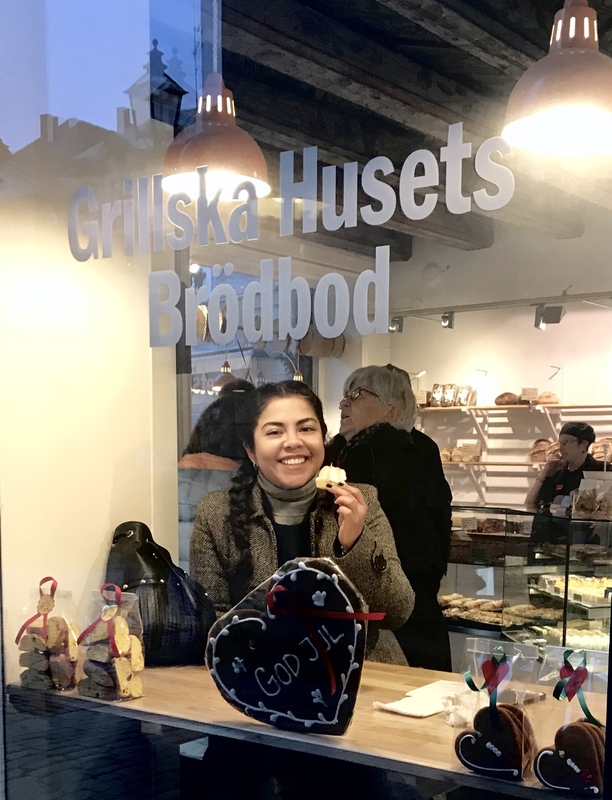 The locals take these snack breaks seriously and they often accompany their coffee or tea with pastries, dessert and good conversation. 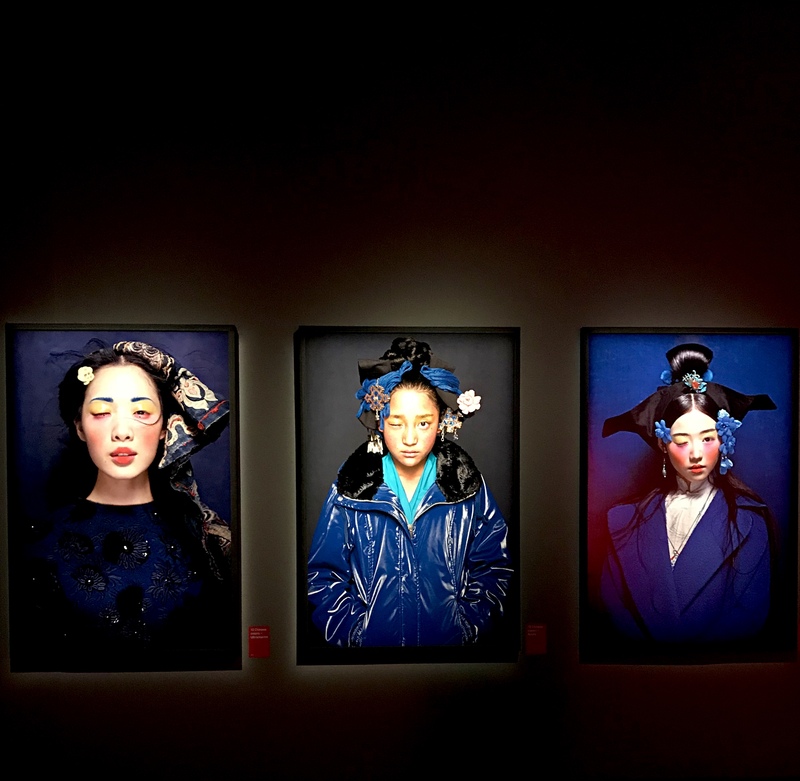 My favorite exhibition at the Fotografiska museum by Chinese photographer, Chen Man. Loved her work! One last thing I encourage you to do is take one of the walking tours of the different neighborhoods. 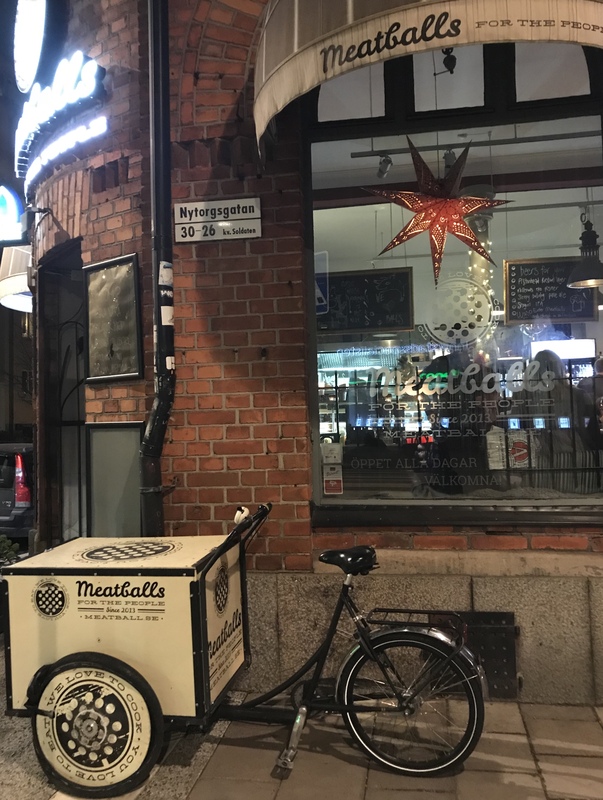 I took two ‘Free Walking Tours’, one of Old City Center; where I learned why Swedish people don’t use curtains, and one of the Södermalm district, a neighborhood that was once for the working lower class and has now turned into the trendy, hipster area of the city with nice restaurants, coffee shops and bars. 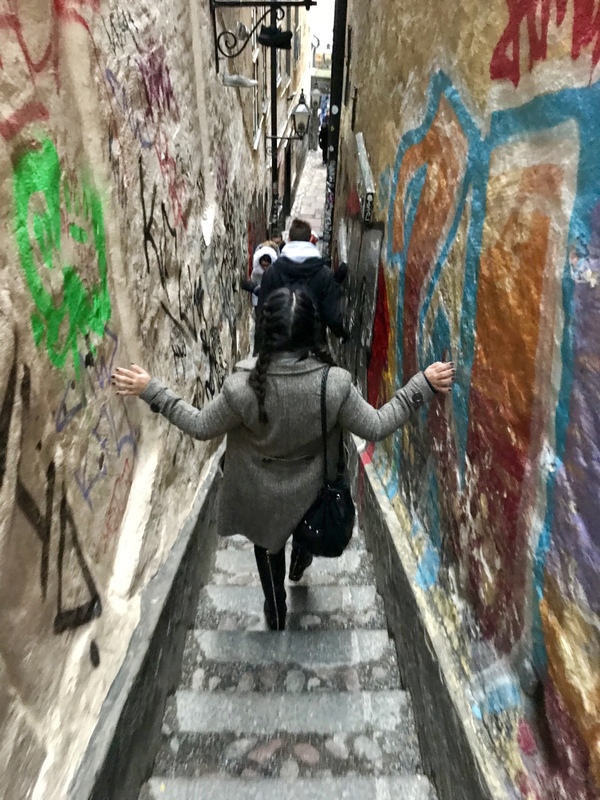 Finding places for the ‘gram in Södermalm. Keep in mind that if you visit Sweden during winter you will have limited hours of daylight, so plan your activities accordingly! 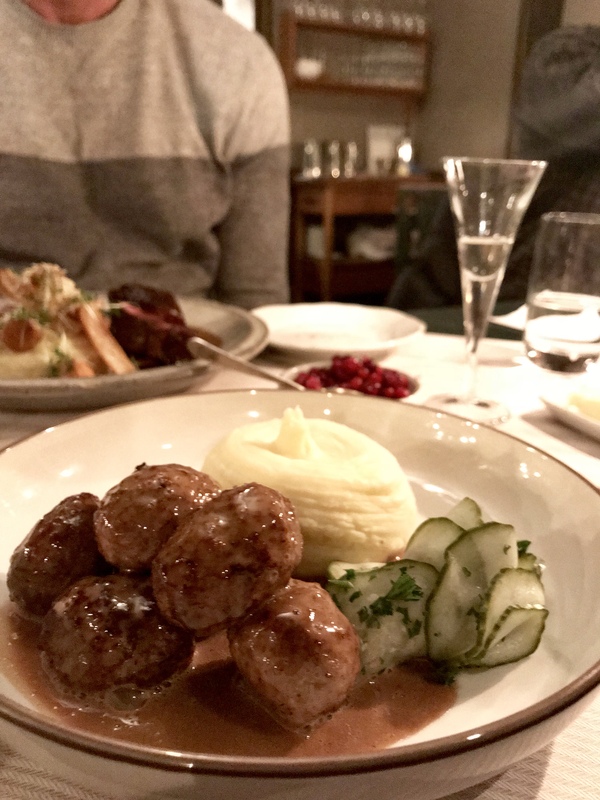 Photo taken at 4:30 p.m.
Meatballs for the People– located in the Södermalm neighborhood, this quaint little restaurant has very cute decor, an energetic and friendly wait staff and all the kinds of meatballs you can imagine…yes, even vegan! I didn’t go that route; however, I tried venison and moose. 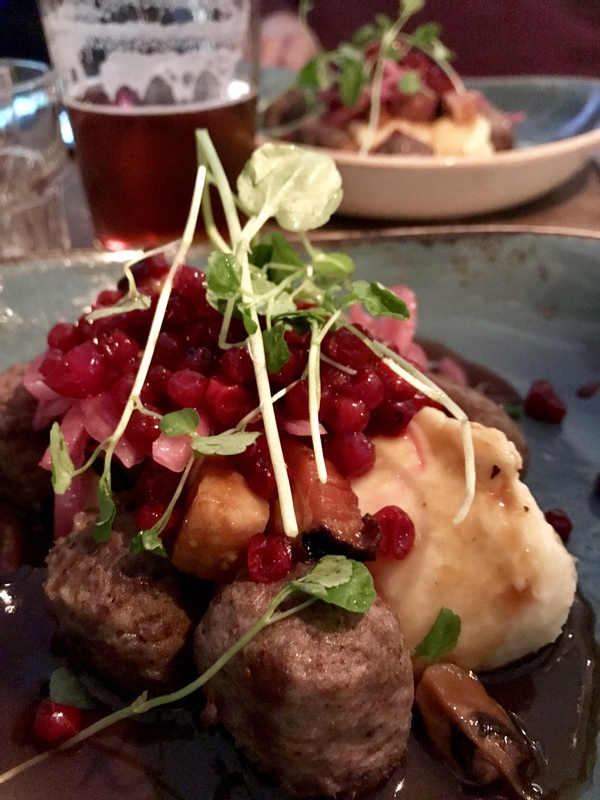 The meatballs were paired with traditional mashed potatoes and lingonberries. They also have great beers from the local area. 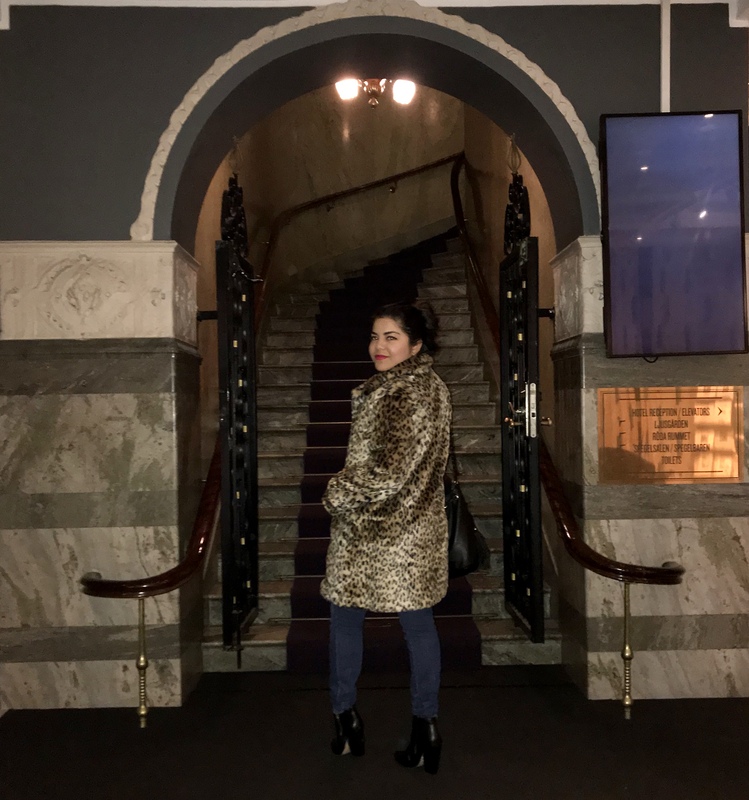 Berns Asiatiska– In case you do get your fill of meatballs and want to try something else, I definitely recommend this restaurant located in the Berns Hotel. 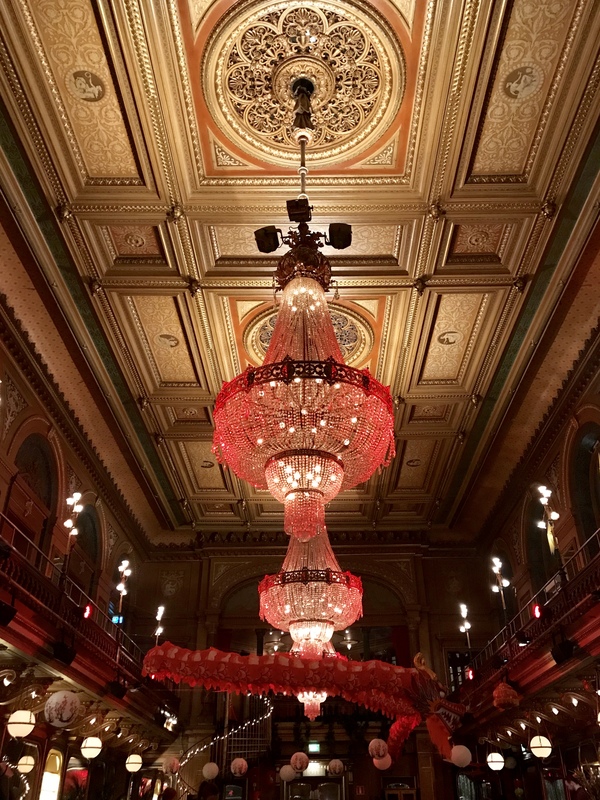 The decor is very extravagant, with an enormous chandelier in the middle of the dining room, red velvet furniture, and a Chinese dragon hanging from the ceiling. It’s totally awesome! 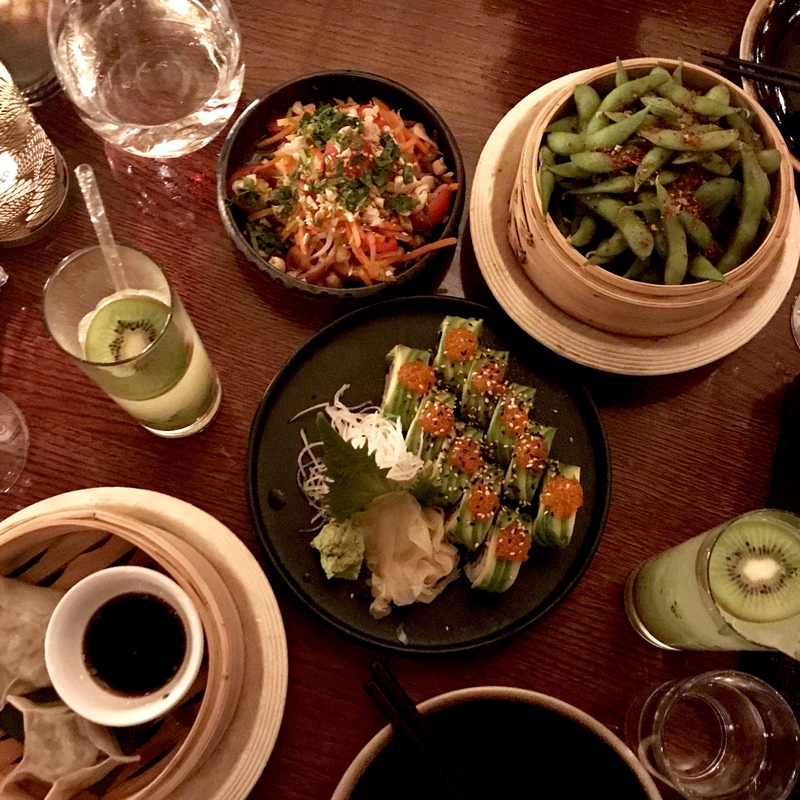 And the food is to die for: fresh sushi, tasty edamame, very crispy chicken and delicious drinks. Save this venue for date night. 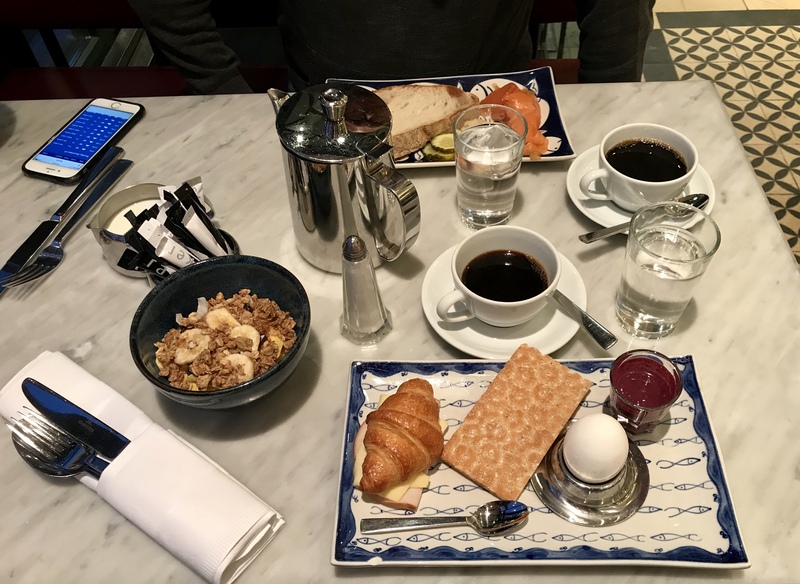 I stayed at the Berns Hotel located in the heart of Stockholm shopping and restaurant district. My room was super cozy and comfortable. When it was too cold or too dark to venture outside, I didn’t feel guilty about ditching the city, ordering room service from Berns Asiatiska and catching up on the latest season of Black Mirror on Netflix. It was a vacation after all, am I right?! I also loved the hotel’s buffet-style breakfast. Offerings included all kinds of breads, spreads, jams, meats, juices….I could go on and on….and the best part, it’s included with your booking. 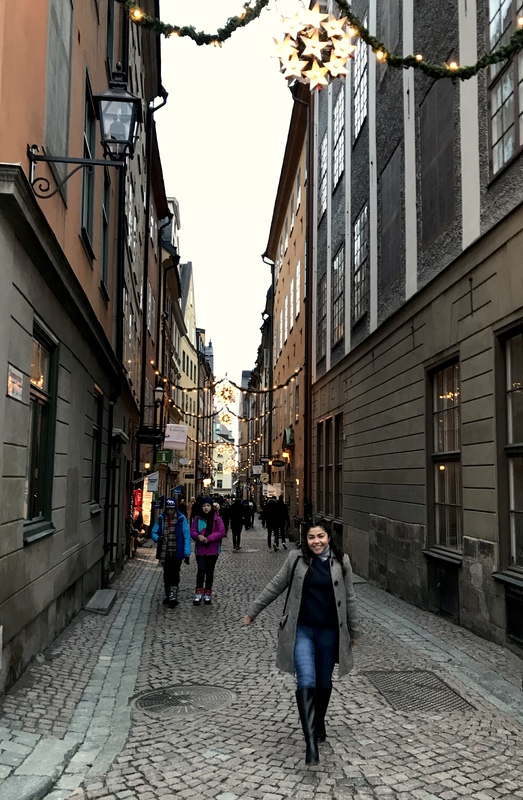 So, I hope you liked this guide and you include Stockholm on your travel bucket list, because it’s a destination you won’t want to skip. Have any questions on the city? Join the club and leave your comments below! Very good written story. Keep doing what you are doing – I will definitely read more posts.